Violence-Free Childhood promotes consciousness among parents and caregivers regarding children’s rights and the harmfulness and consequences of physical and humiliating punishment. 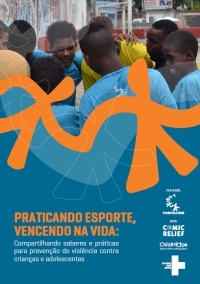 Violence-Free Childhood was developed based on findings from a consultation process that Promundo carried out with children, 5-12 years old, in Rio de Janeiro on the issue of physical and humiliating punishment. The curriculum provides group educational activities, conducted with parents and caregivers, to raise awareness of children’s rights and the importance of preventing corporal punishment, combined with policy advocacy and community norm-change campaigns. Violence-Free Childhood promotes awareness among parents and caregivers regarding children’s rights and the harmfulness and consequences of physical and humiliating punishment for children. As part of the program, Promundo developed an educational curriculum, Ending Corporal and Humiliating Punishment, with activities designed to promote critical reflections among fathers, mothers, and other caregivers of children. 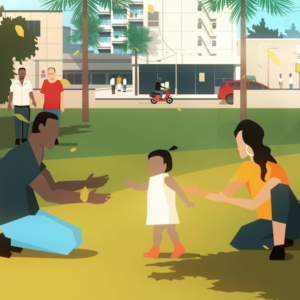 To complement the group education sessions, facilitators can also use the companion video, Once Upon a Family, a no-words cartoon that follows common challenges in raising and educating children, from their infancy to adolescence. 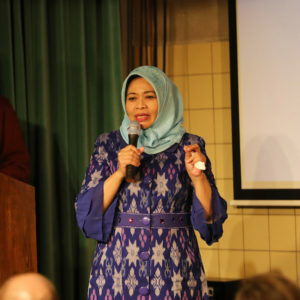 The program was designed and launched by Promundo and partners in 2005 with the support of the Bernard van Leer Foundation and Save the Children Sweden. An impact evaluation of the program was carried out with parents in three low-income communities in Rio de Janeiro from 2005 to 2007. The study’s findings indicated a reduction in the use of physical punishment against children and an increase in awareness about non-violent forms of education and discipline. Promundo is a member of Brazil’s Não Bata, Eduque campaign (in English, “Don’t Hit, Educate”), which is supported by organizations working to defend the rights of children and adolescents in Brazil. The campaign raises awareness, especially among parents and guardians, about the negative consequences of using physical and humiliating punishment to discipline their children. 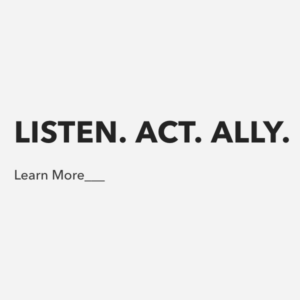 It promotes discussions about domestic violence and uses visual arts, music, and theater to mobilize children, youth, and adults around the topic. As part of the Não Bata, Eduque campaign in 2013, Promundo launched the children’s book Vento no Rosto (in English, “Wind on my Face”), which promotes violence-free education from the perspective of children. Twelve boys and girls from the community of Maré, Brazil, ages 6-13 years, created the book, sharing their ideas on how school can be a peaceful, safe place. In 2014, Vento no Rosto won the 3rd Annual Avon Communications Award for Community Change, which recognizes organizations whose innovative communication strategies help to transform communities, institutions, policies, and behaviors to prevent and end violence against women and children. 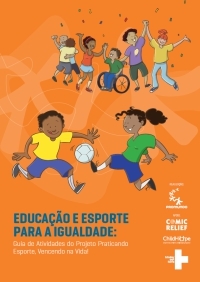 Continuing the series of children’s books to promote nonviolent, equitable education, in 2014, Promundo published Chutando Pedrinhas (in English, “Kicking Little Rocks”). This book addresses the relationship between a father and his daughter and shows how certain gender norms and expectations about men’s and women’s roles limit the daughter’s desires and dreams. The story is a product of the collective work of a group of 17 girls who live in Morro dos Prazeres, Rio de Janeiro. It’s Exploitation: This campaign raises awareness to prevent the commercial sexual exploitation of children and adolescents.